The site of a proposed sanitary landfill was underlain by soft compressible silts. A liner system was planned for the base of the landfill. The intent of the wick drains was to accelerate consolidation and to lower the void ratio and water content in the compressible silt layer. Approximately 500,000 linear feet of wick drain was installed. 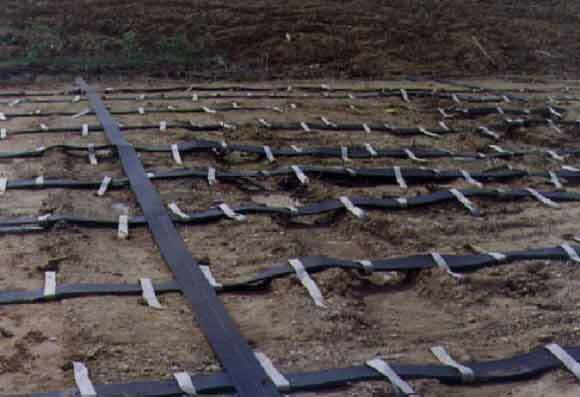 In lieu of placement of a sand or gravel work platform/drainage layer, horizontal strip drains were used. Each wick drain was connected to a horizontal strip drain.